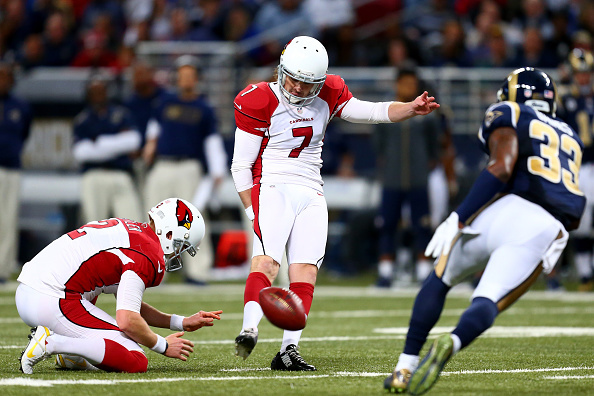 Chandler Catanzaro kicked four field goals and the Cardinals overcame the loss of quarterback Drew Stanton with stifling defense, moving closer to clinching a playoff spot with a 12-6 victory over the Rams on Thursday night. Ryan Lindley was ineffective in his first appearance since 2012 in relief of Stanton, who injured his right knee on a sack in the third quarter, but it didn’t matter. The Cardinals lost Carson Palmer to a season-ending knee injury during their 31-14 victory over St. Louis at home last month.